A great way to improve your music cover letter writing skills is by looking at expert-made examples. Whether you’ve written many before or are completely new to it all, it’s never a bad idea to see what others in the music industry look like in order to create your own. This writing guide is here to help you amplify the power of your cover letter and make a lasting impression beyond the audition. Not feeling confident yet? If you’re unsure of what style or format to use, read our detailed guide on writing. We have more resources for you if you need them – such as free templates and detailed guides on cover letter writing for other careers. It was a pleasure meeting with both you and John Smith this past Thursday regarding the Principal Bassoonist position. After our conversation, I have a better understanding of the job requirements and what I would need to do in order to succeed in the Principal Bassoonist role. I am very excited about the prospect of joining the Los Angeles Philharmonic. To me, this organization has no shortage of personal and professional opportunities to offer, such as touring across the United States and mentoring young musicians in the Los Angeles area. Before coming to Los Angeles, I studied music, performing extensively during my four years at Washington State University. During this time, I was awarded the School of Music Scholarship, and my university Woodwind Ensemble received first place in the Fischoff National Chamber Music Competition. In addition to the groups I performed with at my university, I have also contributed to professional orchestras in Washington, such as the Seattle Symphony Orchestra, Oklahoma City Philharmonic, and Olympia Symphony. Furthermore, I have taken on various roles as a freelance bassoonist for recordings. Through working as Sub, Regular, and First Chair, I have honed my bassoon skills and gained competence in working alongside my fellow musicians to produce excellent music. I am seeking new challenges as a leader of the bassoon section and the chance to travel to new locations around the country, which is why I first became interested in the Principal Bassoonist position. 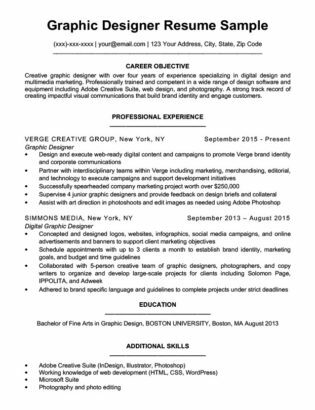 I have also included three references with my resume, as requested. Please do not hesitate to contact them; I am also more than happy to provide additional references if necessary. I am aware that you are working under time constraints and looking to fill the vacancy by the beginning of next month. If selected for the Principal Bassoonist part, I am available to start immediately. If you have any questions or require additional information, please feel free to contact me by phone at (000) 000-000 or email any time. You’re confident you can do well in your audition and have the skills required to get a career in music. So why should you bother with a music cover letter? This mindset won’t help you get the job you want. Musical talent will help you keep the job, but not always find a job. That’s where a strong cover letter and resume come in. Craft a compelling cover letter by following these five steps when writing. 1. Get specific with your work history. Hiring managers shouldn’t have to ask whether you’ll be a valuable addition to the team from your cover letter, so leave no room for questions about whether you’re qualified for the position or not. Work on making your work history examples as specific as possible. 2. Be succinct and clear. No one wants to read a three-page letter or one that rehashes the same words. Consolidate anything that is too wordy – the hiring manager will only spend a few minutes reading it at most. Cut out any unnecessary use of words like “which,” “that,” and “of.” Don’t start every sentence with “the.” Avoid using language that you are unfamiliar with, because the last thing you want is to sound unnatural and like it was written by a robot. You can make a huge difference by minimizing use of these words. In the entire letter, the bassoonist only uses the “which” and “that” once. It’s important to use the right action verbs and power adjectives that will interest the employer. In the table below, see for yourself on how you can make your word choice sound more impressive. Refer to our library of power adjectives for a complete list of useful words for cover letters and resumes. Remember, only use strong adjectives and verbs like these if you are prepared to justify them in your cover letter – you wouldn’t say that you’re an accomplished conductor when you have never directed an orchestra before, would you? 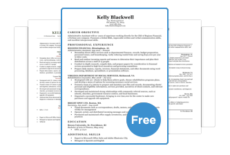 Your cover letter needs to be straightforward and professional. Using an over-familiar tone or humor in your writing will likely get you rejected. Some applicants fear their cover letter isn’t distinguishable from other candidates and resort to trying different writing styles so they will stand out. It’s fine to be confident in your ability to perform the job duties, but don’t make the mistake of being overly confident in your writing. It was dope meeting with both you and John Smith this past Thursday about the Principal Bassoonist position. After talking with you guys, I still think I’m the best person for the Principal Bassoonist role. In fact, I could make a huge Liszt as to why I’m perfect for the job! To start, I am really hyped about the prospect of joining the Los Angeles Philharmonic. Hope to hear from y’all bassoon! 5. Have someone else proofread. You should never send out an application with errors. Most employers will immediately reject an application with spelling mistakes, wrong facts, or poor grammar. Always have someone else read over your letter, and it’s better if you can find someone who proofreads for a living. If you’re still in school, make use of career or writing centers that can help you with proofreading. Asking any professors or mentors if they can check it over for you will be valuable to yourself and your application. Not sure what to look for when you’re revising? Look at our helpful checklist for proofreading.